JS Pheonix template for Joomla! 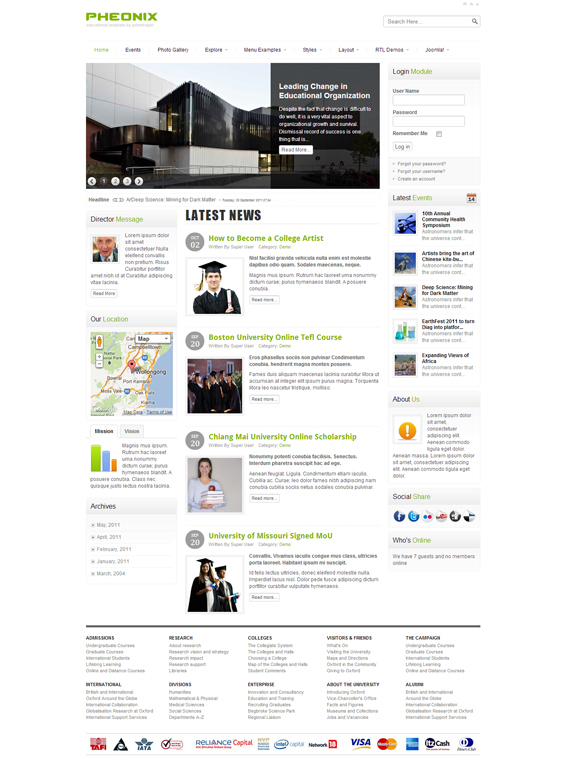 2.5 is designed to create a website of an educational institution. It has a light and light design, optimally chosen fonts and graphic elements that give the design a solid form. Template great choice for corporate website, information portals and personal blogs. Template built on a platform Helix Framework, has a fast loading and enhanced functionality. There is support for RTL languages, Using modern web technologies such as CSS 3, integrated library jQuery.